Even though Social Media is a very used term these days, its definition varies among the social media experts. According to Wikipedia social media are the media for social interaction, using highly accessible and scalable publishing techniques. Social media use web-based technologies to turn communication into interactive dialogues. The term social media is also related to Web 2.0 philosophy. This philosophy change the way business communication has been performed until now. Communication now is a two – way road, where people can respond any message given by any company regardless of their size. This characteristic gives power to any person and even more when the response can be conveyed at the speed of light all over the world at a cost close to zero! What every author on social media seems to agree is that social media is only new set of tools to be used in your marketing campaign. Lon Safko. 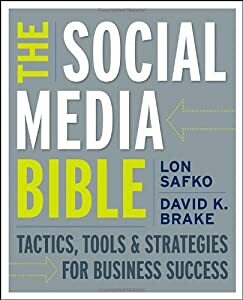 The Social Media Bible. New Jersey, USA. John Wiley & Son, 2010. Catherine parker. 301 Ways to Use Social Media to Boost your Marketing. San Francisco, USA. McGraw Hill, 2010. Kelly Mooney and Nita Rollins. 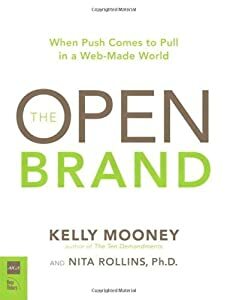 The Open Brand: When push comes to pull in a web-made world. Berkeley, USA. New Riders, 2008. Tom Funk. Web 2.0 and Beyond. USA.Praeger Publishers, 2009. This entry was posted in Marketing and tagged Social media. Bookmark the permalink. ← Great Article For The new Director. That’s You Here !